Samantha is very well known for her social activities, and has proved it yet another time. 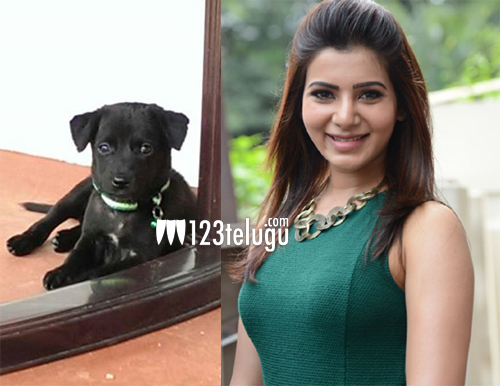 Samantha adopted a dog named NORI and said that she fell in love with her at the first sight, when she found her on the road. “Welcoming the newest member of the family, NORI. Love at first sight. Found her on the road. #AdoptDontBuy”, Samantha tweeted. Her message to her followers is that it is better to adopt a homeless animal rather than buy it. She also received many appreciations from her co-star Pawan Kalyan for her community service during a bomb blast. It is a good sign that many actors and actress are giving a clear message to fans by doing some valuable social service.